Baptist Medical Group obstetrician and gynecologist Regina McCutcheon, M.D., MPH, has earned board certification from the American Board of Obstetrics and Gynecology. Baptist Medical Group – Ladies First OBGYN is located at 3417 North 12th Ave. in Pensacola. 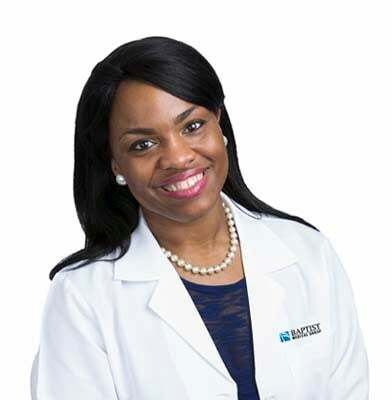 Dr. McCutcheon received her medical degree at Tulane University School of Medicine in New Orleans and completed her residency at Louisiana State University School of Medicine in Baton Rouge. Dr. McCutcheon has both the certifications and experience to provide obstetric and gynecological care for female patients 13 years old and above. For more information about Dr. McCutcheon or Baptist Medical Group, visit BaptistMedicalGroup.org.